How to plan the move? Why do you need a professional machine moving service? Machine dismantling, packing, moving and reinstalling can be a delicate task. Any mistake during the process can affect the functionality of the machine. So, you need our professional machine movers to dismantle, pack, move and reinstall your machine in the new location. Besides, our professional machine movers are reliable and reputable. 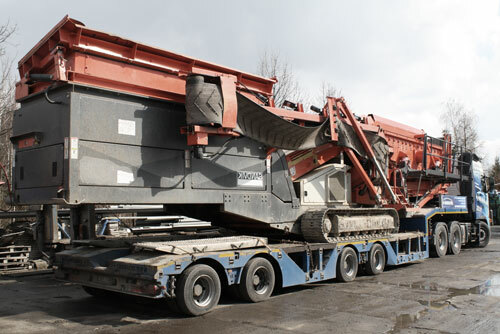 We also carry out a heavy farm, construction, manufacturing and printing machinery haulage within the UK and overseas. We have a name to protect and thus the business will deliver quality service to their clients in order to remain in business. There are some health and safety legislation guiding machine moves. So, you need a professional in order not to violate these rules. Professional movers are fully covered by insurance. Therefore, you should use their services for better security. Can I move only 1 machine? Yes, you can move any number and size of machines. You will be charged according to the weight of your machine. Can a whole production plant be moved? Yes! As professional moving company with many years of experience, we have the required expertise to move an entire production plant locally, across the state or internationally. Can heavy and large machinery be moved? We have a team of well professional movers who have knowledge about various types of machines, machine dismantling and installation. 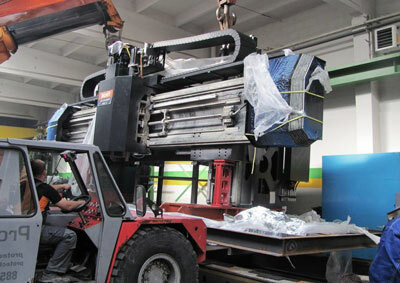 So, no matter the size of your machine, we are capable of dismantling and packaging the machine parts for moving. We will also reassemble the machines after moving it. Secondly, we have all the necessary equipment for lifting heaving machines. So, we are equal to the task. However, you may have to pay additional money for this service given the nature of the work involved. Do you ensure quality control and how? We do not joke with our customer. This is why we go the extra mile in satisfying them. As part of our strategy to ensure that they are satisfied, we take quality control very seriously. In order to ensure quality control, our management together with consultants sit together to review the quality of our projects. We also call for the quality audit on yearly basis. We are also registered with many professional bodies and comply with their quality control standard. Do you offer international equipment move? Yes! We are out for business and we are expanding fast thanks to the quality of our service. As experience and reliable moving company, we offer equipment moves locally and internationally. We can provide you with references. We have moved machines to Australia, Canada, various European countries, Africa, China, the US and many other countries. Our experts will dismantle and pack your equipment for moving. We can also reinstall the equipment if you want us to provide such service. Machinery shipping overseas are a bit more complex than UK domestic moves. However we can handle international machinery removals from the start to finish - including cleaning and packing services, container loading, customs clearance and international transport and delivery to France, Germany, Spain, Belgium, The Netherlands, South Africa, Australia, Canada, China, just to name a few. Check our main page for full range of services - office removals. Do you take health and safety measures? We know the risk involved in moving heavy equipment, this is why we provide comprehensive training to our teams including training them on health and safety procedures. But we have taken a step further by having our health and safety procedures audited by external auditors who normally come for audit unannounced. Will your expert visit my premises before providing me with a quote for removal and relocation of a machine? We don’t need to visit your home before providing you with the initial quote. You only need to send us photos of the equipment to be moved. However, before entering into a contract with you, we would visit your site to assess the nature of the work before providing you with the final quote. How far should we contact you before a planned move? You can contact us as soon as you start planning for the move. Our team of professional moving planners will apply their experience and expertise in guiding you and providing sound advice to you in order to ensure that you have a successful move. However, if your move is impromptu, you can contact. 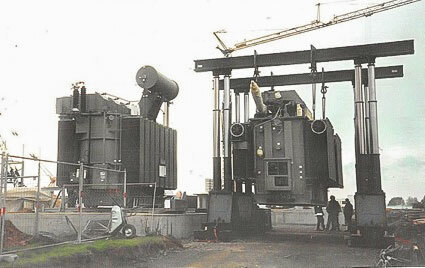 We have enough manpower and equipment to handle any project at any time. Yes! We provide various kinds of insurance policies such as general liability and cargo insurance policies to our client in order to ensure that their equipment is protected. Are there other charges not included in the quotes? No! We will make sure that we provide you with accurate quotes. Once, you get a final quote from us, you can work with the quote because there are no hidden charges applied. All charges are contained in the quotes. How are my supposed to prepare for the move? Preparing for a move can be very easy. We can help you prepare for it. If you encounter any difficulty during the preparatory stage or if you find it overwhelming, you should not hesitate to call us. We will arrange for a meeting with you to provide you with the necessary assistance. Once the management of your business have decided to move shop and equipment, call us to plan and move your shop. If you have not found any answer on our Frequently Asked Questions about Machinery Moving website please drop us a quick email. We will add your question with an answer to our page. Our latest machinery removals projects have been delivered to companies in Blackburn, Darwen, Southport, Leyland and Fleet-wood. We have also provided electrical, mechanical and machinery relocation to firms in Accrington, Burnley, Nelson, Skipton, just to name a few.